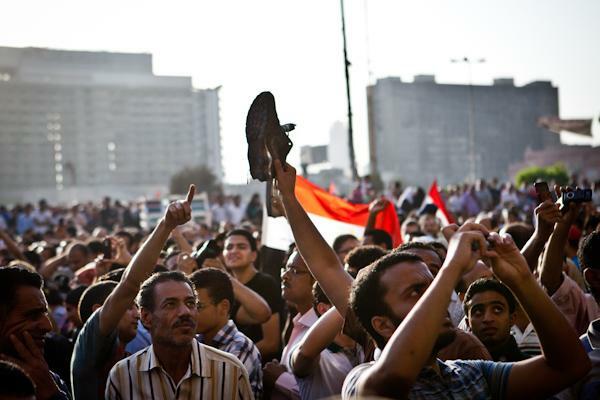 Tahrir Square was a “time out of time” and a place that has become a symbol with multiple layers of reference. What language can we use to talk about this? In her essay “A ‘Time out of Time’: Tahrir, the Political and the Imaginary in the context of the January 25th Revolution in Egypt,” Hanan Sabea reflects on multiple aspects of time in the space of Tahrir Square, and the functions time played in constructing significance. How do we theorize this? I have described the 18 days as a period of antistructure and communitas. Borrowing Turner’s concept of “liminality,” I have used this to characterize the state of being between states, of being uncertain, of living with the contingent. Turner’s concepts are old and much used, but are they outdated? Is “horizontalism” a refinement of Turner’s concept or an alternative, and if the latter, what is its greater utility? A “time out of time” is about excising a slice of time out of the rhythm of the familiar (the ordinary and the known) and, through that rupture (and an assumption of reconstitution), making it possible to imagine other modalities of being – in this case of the political and the social. But is “time out of time” a new concept or simply a way of expressing one aspect of liminality in a more focused way? I’m thinking about this because I’ve been asked to contribute a chapter to a forthcoming interdisciplinary book on liminality as a concept in understanding aspects of the contemporary political world. Mine would center around the revolution, and Tahrir Square specifically. What do I make of these other approaches to anomolous time and space and social relations? Do concepts like “time out of time” and “horizontalism” help me refine and unpack the broader concept of liminality or do they represent substantively different approaches to understanding what is going on?